Managers and individual contributors interested in learning how to implement a continual improvement process that integrates the Process Approach, Risk-Based thinking, and PDCA. This 1-day ISO 9001:2015 training focuses on strategic approach to Risk-based Thinking. It includes the understanding of ISO 9001:2015 development and its application, hazard identification and risk assessment (HIRA), risk management and various risk analysis tools. Managers and individuals who are interested in learning how to implement a continual improvement process that integrates the Process Approach, Risk-Based thinking, and PDCA are encouraged to attend. 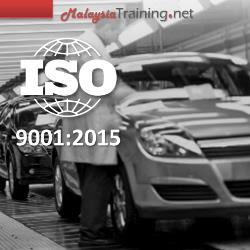 Have an understanding of the ISO 9000 series of standards and be aware of the development and application of the ISO 9000 family of standards. Have an understanding of ISO 9001:2015 and risk based thinking. Be able to discuss and understand hazard identification and risk assessment (HIRA) as well as the types of risk assessments and the application thereof in the workplace. Be able to discuss quality risk management and risk management methodology. Understand and be able to discuss various risk analysis tools. Part I - Why implement Risk Based Thinking? ISO 9001:2015 Risk & Opportunities. The Main Objectives of International Standards. Part 2 - What is Risk Based Thinking? Understanding the Concept of Risk based Thinking. Why Should the Organization adopt "Risk-Based Thinking"? Part 3 - What is Risk? Risk - A Simple Definition. A Quantitative Approach to Risk Assessment. Understanding the Acceptable Regions of Risk. A Qualitative Approach to Risk Assessment. The Importance of a Risk Register. Purpose of the Process Approach. Understanding the Relationship of Process + Risk + PDCA Model. Identifying the Relevant Inputs to Management Review.